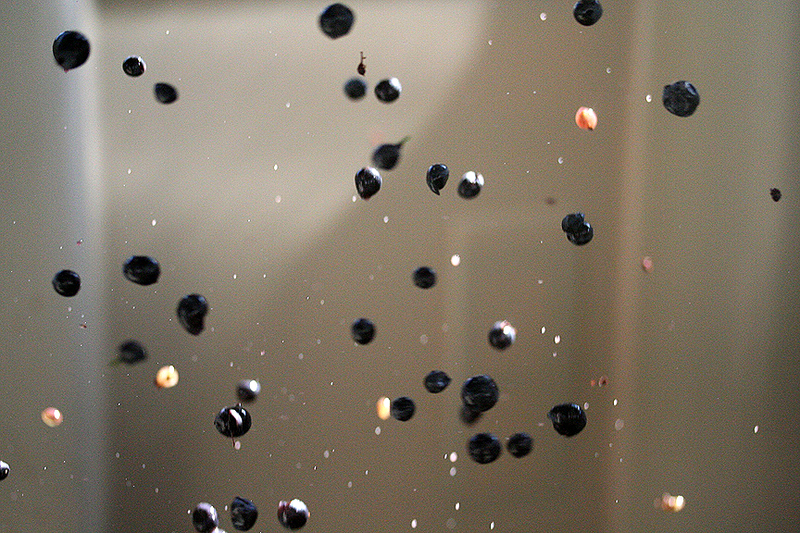 This is a fantastic shot by Clare Carver of Big Table Farm showing the grapes coming out of the destemmer and falling into the bin where they'll start the fermentation process. A lot of the wine she and Brian make is whole-cluster, meaning the grapes are left on the stems to get as much of the flavor of the whole fruit as possible, but some of the grapes go through the process above, as well. That is a fabulous shot. Also appreciate your reportage from the front lines of Harvest 2012!